I’m introducing a new set of articles in my blog: Interview sessions with some colleagues and technology geeks. 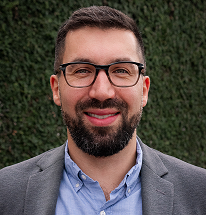 In this first article I had the great opportunity to start a quick question and answer session with one of the geekiest App-V guys around the world: Aaron Parker. 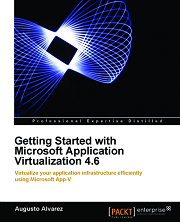 Aaron made an important contribution in my App-V book “Getting Started with Microsoft Application Virtualization 4.6”, not only as an official reviewer but with his blog which contains several interesting articles about virtualization using a valuable approach. You can find more about Aaron following him on Twitter: @stealthpuppy. 1. To start with the interview, can you give us a quick synopsis about yourself and your experience? I am a desktop and application virtualization and delivery architect currently working for Kelway in the UK. Previous to my current role I’ve been working on various application virtualization, user virtualization and desktop deployment projects around London. Before coming to the UK, I worked for various VARs in my native Australia where I was doing mostly Citrix XenApp and desktop deployments. 2. In all the experience you have regarding virtualization, how could you explain application virtualization for someone who had never heard about App-V or any other similar platform? 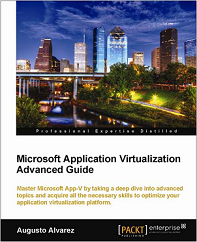 Application virtualization is really just another application deployment method. Where it differs from traditional deployment methods is its ability to make the desktop more dynamic rather than a monolithic blob that we’ve had to deal with in the past. Application virtualization allows us to deliver applications on demand and to users, where ever they are, rather than physical devices. 3. Why do you think that application virtualization did not appear massively just yet in organizations? Many organisations still look at desktop deployment the old way, i.e. create a static, monolithic SOE, and have failed to recognise the benefits in approaching desktop virtualisation in layers. 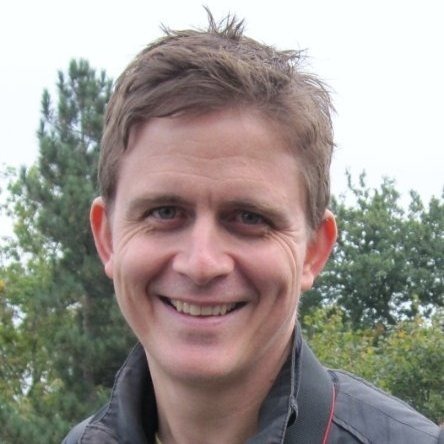 Small organisations that are still using imaging products such as Symantec Ghost and have stuck with OEM licenses, may find that change can be costly – if their current approach works, why change? It has also been disappointing to see a lack of support from application vendors for application virtualization in general. Companies such as Attachmate should be applauded for supporting their products under App-V. Momentum requires application vendors to do more than they have currently (which is next to nothing). In case you are wondering why there are terms like “organizations” and “organisations” in the same text, this is regarding the American and British spelling differences; both are valid. 4. Can you name the top reasons of why application virtualization must be considered in any organization? If you’re interested in creating a user-centric model of your computing resources (both hardware and software) then the desktop needs to be broken down into layers to make it dynamic. 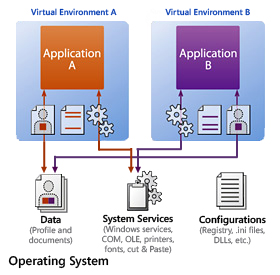 Application virtualization is just one of those layers. A dynamic desktop is more flexible and allows us to deliver applications based on identity and context. 5. 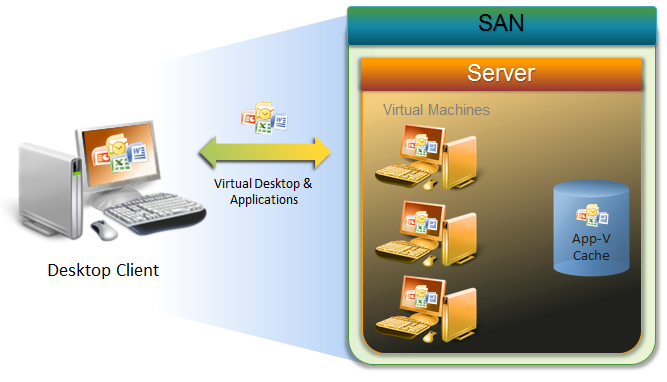 Do you think that Virtual Desktop Infrastructure (VDI) + Application Virtualization represents the future of desktops? In the short term – yes, But I also think that VDI (as in a hosted virtual desktop based on a Windows client OS) has limited use cases – it suits only 10 to 20% of users. Coming from an SBC background, I know that I can deliver a desktop from the data centre, cheaper, faster and more efficiently with SBC (TS, RDS, Citrix XenApp, Quest vWorkspace etc). In the long term – no. Windows as we know it today won’t be around forever. It will evolve along with new application architectures that will render today’s desktop model obsolete. 6. With all the possibilities regarding application virtualization (App-V, ThinApp, XenApp, and so on), do you think that there’s one among all that stands out or depends on each scenario? Absolutely depends on your scenario – the choice of application virtualization product is often not a technical one (as much as we’d like it to be). 7. Regarding Microsoft’s App-V, which are the features included in the latest version that you like the most? The 4.6 SP1 Sequencer has some great features around sequencing workflow, recommendations before sequencing, displaying what was excluded post sequencing and sequencing templates. These features help to produce better quality packages. 8. Even though there’s no official word from Microsoft, which are the features that you think may (or want to) include the App-V 5.0 version? I would like to see isolation as something that we could turn off and on. Isolation of a virtual application is great for the majority of cases; however being able to remove isolation as a per-package behaviour would allow use to virtualise many more applications. I hope you enjoyed this article and I’m pretty sure I’ll get back with some more interviewers and Q&A sessions.